Do cats hate lion cuts? I recently got my cat shaved down into a lion cut so he'd be cool this summer. Now, he won't come out from under my bed. Is he embarrassed? 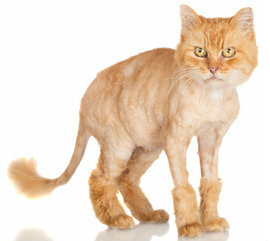 Most cats hate lion cuts, but not because they make us look so silly. After all, most of us have bad hair days. Cats with lion cuts really don't care if they have an entire month or two of bad hair days. Appearances aren't all that important to us. So I don't think you're cat's embarrassed by the lion cut. But he could be scared. Cats hate lion cuts because we really need all that fur. It protects us from scratches when we're around other animals. And it guards against microorganisms and even parasites. Without it, we feel very vulnerable. Believe it or not, our fur also helps us stay comfortable in hot weather. It serves as an insulating layer between our skin and the outside environment, keeping us cool in the summer and warm in the winter. 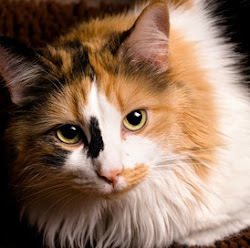 Something else you might not know about cat fur is that we use it for communication. Have you ever seen a cat with his fur standing on end? He's letting you know he's very angry and wants you to stay far away! I know you had good intentions, and I'm sure your cat appreciates that. But next summer, I'd skip the lion cut and let his built-in "air conditioner" do its work.